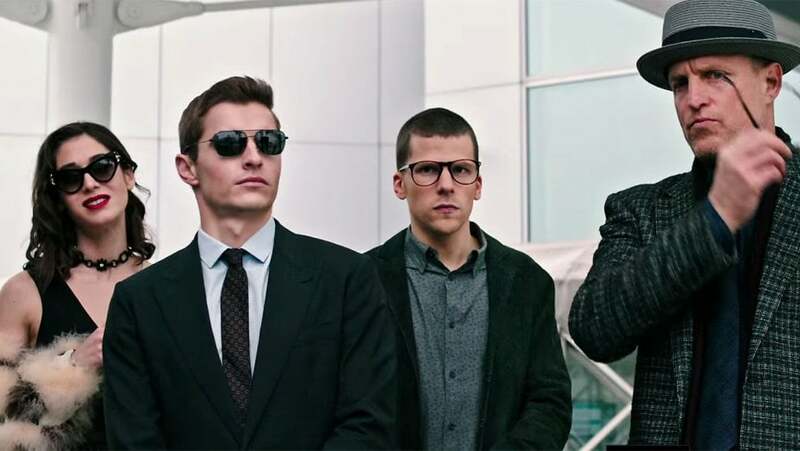 Now You See Me 2’s uber complicated shenanigans opened this week. Don’t worry too much about the plot – what you need to know is London accommodated this massive shoot of A-list celebrities, with well over 100 cast and crew on location at times. Daniel Radcliffe and Michael Caine joined Morgan Freeman, Mark Ruffalo, Woody Harrelson, Jesse Eisenberg, Dave Franco and Lizzy Caplan. Take a look at the trailer here. In Islington, the production made a donation to the Cripplegate Foundation – which has been tackling local poverty since 1500. There, the filmmaker used the Farmiloe Building on St John Street for two weeks. They also shot driving sequences around the borough, and into Camden, along Endymion Road, Tollington Park, Hornsey Road, Holloway Road, Upper Street, Islington High Street, Pentonville Road, Swinton Street, Gray’s Inn Road, Park Crescent, Portland Place, Regents Street, Haymarket, White Hall, Margaret Street. Southwark was another important destination for the film, where a flat in Tanner Street doubled as a Manhattan apartment. Tower Bridge, the River Thames and City Hall are all shown off. And a New Year’s Eve firework scene was filmed on Livett’s boats, just off Shad Thames. FilmFixer manages the film office service for Islington, Camden and Southwark. FilmFixer director Karen Everett says, “We were also able to accommodate the production with a unit base at Millennium Mills.